An Advance Decision, known either as an ADRT (Advance Decision to Refuse Treatment), or a Living Will, is a decision you can make now to refuse a specific type of treatment at some time in the future: it lets your family, carers and health professionals know whether you want to refuse specific treatments in the future, so that they will know your wishes if you are unable to make or communicate those decisions yourself. As long as it is valid and applies to your situation, an Advance Decision gives your health and social care team clinical and legal instructions about your treatment choices, and will only be used if, at some time in the future, you are not able to make your own decisions about your treatment: the treatments you are deciding to refuse must all be named in the Advance Decision, and you may want to refuse a treatment in some situations, but not others: if this is the case, you need to be clear about all the circumstances in which you want to refuse this treatment. You can refuse a treatment that could potentially keep you alive, known as life-sustaining treatment: this includes treatments such as ventilation and cardio pulmonary resuscitation (CPR), which may be used if you cannot breathe by yourself or if your heart stops. You may want to discuss this with a doctor or nurse who knows about your medical history before you make up your mind. It is prudent to give a copy of your Advance Statement to all those involved in your care, especially your care staff, GP and medical team, so that they know your wishes and preferences: Advance Statements must be considered by the people providing your treatment when they determine what is in your best interests, but they are not legally bound to follow your wishes. Deciding to refuse a treatment is not the same as asking someone to end your life or to help you end your life: euthanasia and assisted suicide are illegal under English law. You make the Advance Decision whilst you have the mental capacity to make such decisions and you may want to make an Advance Decision with the support of a clinician. 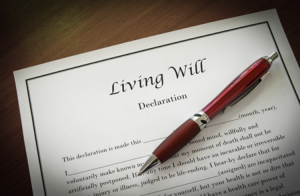 If you decide to refuse life-sustaining treatment in the future, your Advance Decision needs to be written down, signed by you and signed by a witness. Life-sustaining treatment is treatment that replaces or supports ailing bodily functions, for example, a mechanical ventilator can help you breathe, or taking antibiotics can help your body fight infection. If you wish to refuse life-sustaining treatments in circumstances where you might then die, you need to state this clearly in your Advance Decision: life-sustaining treatment is sometimes called life-saving treatment. An Advance Decision is legally binding, as long as it complies with the Mental Capacity Act, is valid, and also applies to the situation: if your Advance Decision is binding, it takes the place of decisions made in your best interest by other people. HOWEVER, please be aware of a Court Of Protection ruling by President of the Family Division Sir James Munby, which over-rules the Mental Capacity Act directives: view the full Mail Online article. 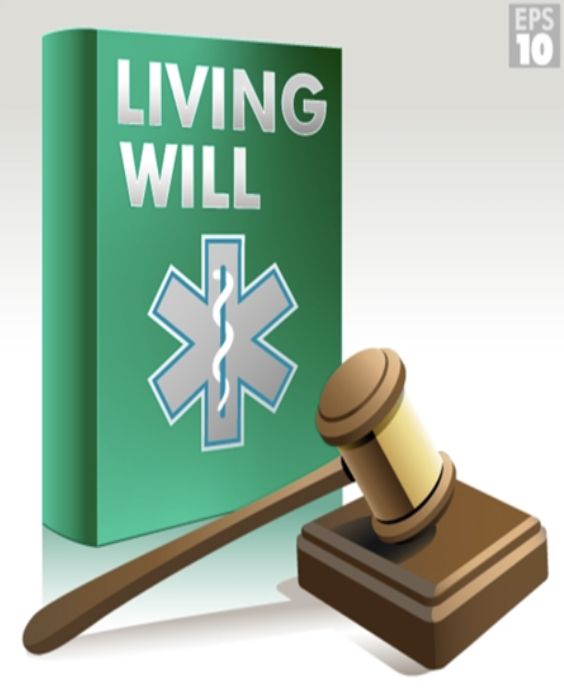 The practice directions now set down by Sir James Munby mean that people who write Living Wills, also known as Advance Directives, can no longer be assured that they will be allowed to die in line with their instructions. The workings of the Act have now been put on hold under Court of Protection issued directions without fanfare last year by Sir James Munby, who heads the court. Sir James' direction ruled that in future decisions about the withdrawal of artificial nutrition and hydration 'should be brought to the court'.